We are an Anglican Church working in the Black Country. We are Christian Family young and old offering hope and friendship to all, pointing people to Jesus Christ. There are many activities and courses that take place at the Church venue throughout the week; everyone is welcome to attend, there is truly something for everyone. We also support charities such as Christian Aid; The Children's Society, Open Doors; Samaritan's Purse; Fairtrade plus many more through events held throughout the year. We also assist with signposting to other local service providers who can help you further. We have three unique activities that are very popular with service users. 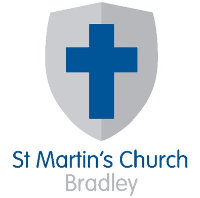 St Martin's Church offer basic computer help and assistance to people who are interested in learning more about Information Technology. We can help with setting up email accounts and allow you access to internet, help with work seraches and your C.V.
HotchPotch Community Drop in Cafe - Held every Friday from 10.30am till 1pm. A new service we offer; the Cafe is a place to meet, eat and share. People come to do art and craft activities and have refreshments together. Another new service; the group meets every Tuesday for a hot cooked lunch, chat and a game of Bingo. The cost for taking part is £3.50 per person, per session. Please see the downloads section of this page to view further information. Please contact us for further details or visit our website which also shows other community activities that take place at our venue.